On July 1, 2018, millions of Mexican voters went to the polls to elect their new president, as well as other representatives across local and central government. As the polls had anticipated, the winning candidate in the presidential election was Andrés Manuel López Obrador, who is also known as AMLO. Andrés Manuel is a former Mexico City mayor, and won by a landslide, claiming more than half of the votes. His advantage was wide enough that the other three candidates quickly recognised they had lost and conceded defeat. AMLO’s clear-cut victory gave the markets certainty about who the new president of Mexico would be, but it did not necessarily give away any hints about the new government’s agenda. After the results of the quick presidential vote count, AMLO gave a conciliatory and respectful speech, emphasising the autonomy of the central bank, the structural reforms by the outgoing government (with the important exception of the oil contracts, which will be reviewed) and discipline in public spending. Other proposals, however, need further elaboration. Until now, AMLO had proposed some public spending plans without explaining their scope or how they would be financed. For example, AMLO has promised to double the pensions of the elderly and give economic support to young people who are not working or studying by as soon as next year. These policies generate pressure on the fiscal front, as AMLO is also proposing not to raise taxes or create new ones. While AMLO’s win did not come as a shock, the relatively surprising result was on the transformation of the composition of the country’s Congress. AMLO’s political party, the National Regeneration Movement, also known as Morena, together with its allies obtained a simple majority in both chambers. The coalition, called Coalición Juntos Haremos Historia, meaning ‘together we will make history’, won 24 seats out of 32 in the Senate of the Republic and 210 of 300 seats in the Chamber of Deputies. It will be important to observe how new alliances are created within these legislative bodies, since the electoral coalitions of the conservative National Action Party and the ruling Institutional Revolutionary Party – the party that has governed Mexico for 77 of the past 89 years – might now dissolve. This creates the possibility of an even more powerful Morena party. Morena also won five out of the nine races for governors, including Mexico City. The party was able to win a majority in a large number of local Congresses. With this, Morena may have a real chance to configure a unified government with sufficient majorities to reform the constitution in the first half of its six-year term. With the government changing dramatically, it is important for companies to review the income and expenditure budgets for 2019. Those will likely be the first acts of fiscal policy from AMLO, and they will give some indication of what to expect in the near future. Discussions for the budget agreement will start next September, and by then many market observers will have gained an idea of the impact on the markets that the new administration could have. The exchange rate of the Mexican peso to the US dollar will continue to be the initial buffer in measuring the impact on the markets. After a brief, one-day spike of volatility, in which the peso first strengthened sharply and then dropped back down, the Mexican currency has been stable. It has even appreciated, behaving similarly to other emerging market currencies. This implies that the foreign exchange market was pleased with the outcome of the election. The Mexican peso will move to the extent to which the impact on public finances can be quantified. This could affect the Mexican peso and may force Banxico to further increase the overnight rate. At the same time, it could be an additional obstacle to economic activity. In recent months, portfolios at SURA Investment Management, one of Latin America’s biggest asset managers, have followed a cautious strategy, anticipating periods of volatility that were associated with uncertainty related to the North American Free Trade Agreement and its renegotiation, as well as the electoral campaigns. Colombia-based SURA Asset Management was formed in 2011 when Grupo SURA agreed to buy the local operations of ING Group for $3.6bn. The company now manages assets worth more than $130bn, with over 19 million clients in five countries around Central and South America: Colombia, El Salvador, Peru, Mexico and Uruguay. With a market share of 22.9 percent, SURA Asset Management is the biggest operator of individual savings accounts for pensions in Latin America, a sector that has been shaken by political turbulence. The company’s strength in the pensions sector is further consolidated by its affiliations. Grupo SURA has an 83% stake in SURA Asset Management, while it also works closely with Grupo Bolívar, Grupo Bancolombia and Grupo Wiese. Altogether, the group has more than 35 years of experience in the field. In the first half of the year, SURA Investment Management México’s portfolios favoured the diversification of foreign currencies and international markets. In local equities, there has been an overexposure to issuers with a high revenue component from international currencies. Many of these issuers have become more attractive in valuation, despite having robust market shares and business models isolated from the political environment of the countries in which they operate, including Mexico. Exposure to global equity markets was observed as a good refuge from the volatility caused by the electoral process in Mexico and the commercial negotiations in the first half of the year. This exposure to global markets, likewise, managed to diversify currencies in SURA Asset Management México’s portfolios (which includes Afore SURA, Pensiones SURA and SURA Investment Management). Consequently, SURA closed the first quarter of 2018 with over $31bn in assets under management, 7.3 million clients, 14.8 percent of market share and more than 3,000 employees. So far, the effect of the election on fixed-income markets in Mexico has been accommodative and positive. The main medium-term concern is the expenditure for promised public policies and their effects on public finances. Even with a conciliatory speech there are still concerns regarding the independence of institutions, particularly Banxico, and the continuity of recent reforms that have favoured foreign investments towards the country. Moreover, the implications of the new government’s plans for companies with state participation – including the state-owned petroleum company Pemex and electricity utility CFE – deserve special attention. Regardless of the concerns described above, the immediate post-electoral effect on Mexico’s risk, measured by the five-year government bonds, was a decrease from 140 basis points to 114 basis points during the two weeks after the election. Rates in US dollars also improved relative to other emerging countries and the region as a whole. expectation during the weeks ahead of election day. 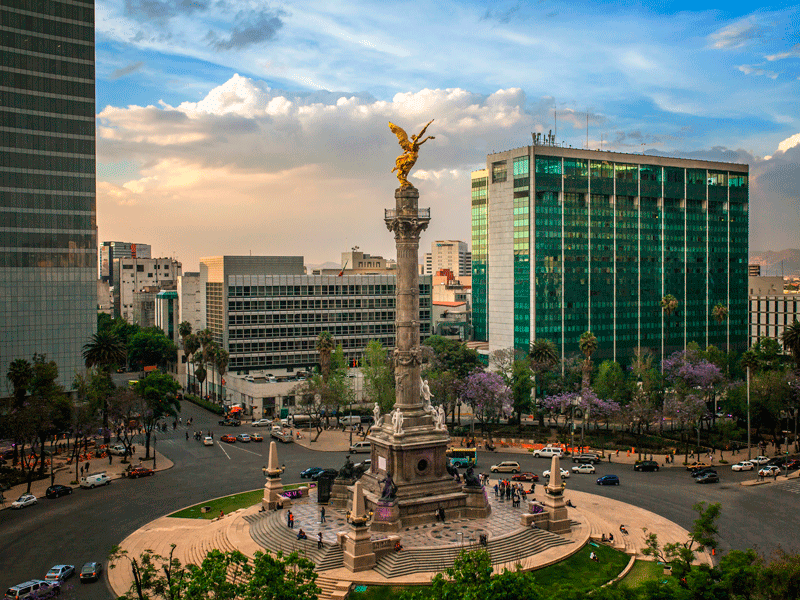 In terms of strategy, Sura Investment Management Mexico’s fixed-income portfolios remain defensive with durations close to neutrality. Portfolio strategies remain alert on key information regarding our new government’s agenda to position the portfolios for the second half of 2018. The strategies within the portfolios of SURA Investment Management have been characterised at all times by the search for the best risk-adjusted performance. Sura Investment Management is committed to achieving the best risk-adjusted return, even in stressed scenarios such as the current one. All of Sura’s portfolios are aligned with this philosophy.